Eleven Rooms. Ten Bodies. One Empty Grave. Brandon Fisher never expected this when he signed up as a Special Agent for the FBI. Working in the shadow of Supervisory Special Agent Jack Harper of the Behavioral Analysis Unit his career seemed set. 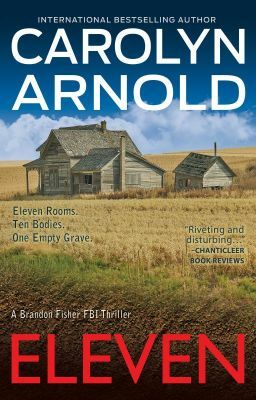 But when the team is called to a small rural town where the remains of ten victims are found in an underground bunker, buried in an unusual way, Brandon knows he'll never return to his normal life. With one empty grave, and the case touching close to home, he fears he's become the target of a psychotic serial killer who wants to make him number eleven. Only thing is, everything Brandon thinks he knows is far from the truth.